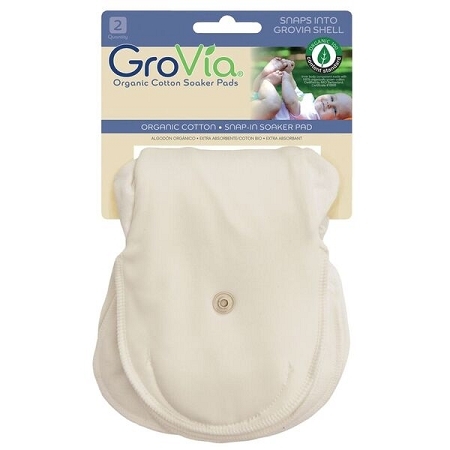 The Grovia Organic Cotton Soaker Pads snap into the Grovia Hybrid Shell which is available in Snap or Hook & Loop Closure. 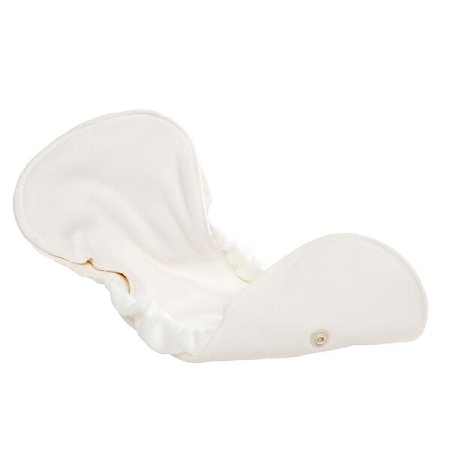 When soiled, simply unsnap the soaker pad from the shell and snap in a clean soaker pad. Change out shell when dirty or after about three uses. 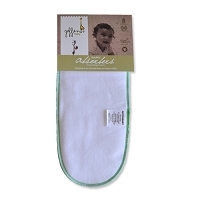 Preparing Soaker Pads & Boosters: Wash hot with detergent, tumble dry, repeating this process 5–6 times before use (they will continue to gain absorbency with more washing). these are wonderfully absorbent and soft . eventually they will show edge wear around the seams but that takes well over a year and still work wonderfully. they do take longer to dry but even line drying its reasonable! 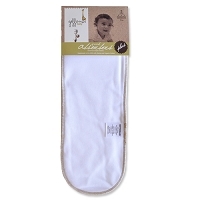 These organic cotton inserts are a wonderfully soft jersey fabric that stays soft wash after wash. Our entire GroVia stash consists of these soakers. Only downsides are that they only snap into GroVia diapers and that the organic cotton seem to wear faster than non organic cottons. They are very absorbant though and we love them! !